Adding fresh relevant content to your blog is one of the important rules of search engine optimisation (or SEO). It has been said by someone, somewhere that content is king. The search engines adore new content added regularly to a blog. It is therefore a given when starting a blog that adding to it regularly will be necessary to help it to rise in the search engines. Writing a blog is fun at first: the freshness of the new challenge, the start of a new venture and the joy of how good it looks. Soon enough, the delight of it all begins to wear off. You have to find enough topics to blog about at least once a week, but preferably two, three or five times. You don’t want to plagarise someone else’s content, but it seems that all the topics have been written about. You need some help. You need to find some more blog content. 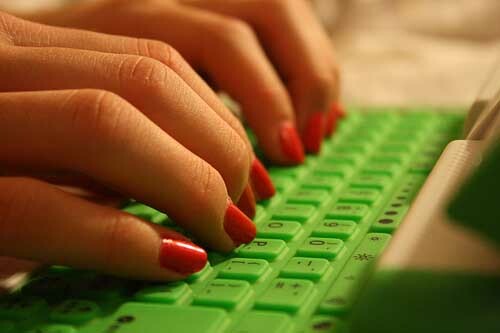 With the World Wide Web at your fingertips, finding new content for your blog is not as hard as all that. Search for forums in your chosen niche. Now go looking among the topics. See what questions that you can find that are related to your topic. If they are questions that you can answer, then make a note of them to write a blog post about. How about using one of the search engines themselves to find questions? There are facilities such as Yahoo Answers among others that exist so that users may ask questions. Again, you may find some ideas for blog posts. You may get comments on your website that you are able to write about. I normally try and get about ten fresh ideas when searching for new topics. Not all may be used, but many will be and with a little research will soon be ready for publication. Have a folder where you can keep your ideas and cross them off as you use them. It enables you to keep organised with your blogging. If you find difficulty in finding time each day or every other day to sit and blog, why not set aside some time and do a weeks’ blog posts in one? Write them all together and then schedule them on your blog so that they will be published at the right time. This means that you will only need to find one chunk of time to sort out your blog instead of lots of different chunks of time. It means that it is a job that you can cross off your ‘To Do’ list and you will find it easier to be more disciplined about writing your blog posts. If you really find it difficult to write your blog posts, then perhaps you can hire a blogger to write your posts for you. A blogger will write your posts under your name for payment. There are a lot of different prices out there, but you will want someone to write about 400-600 words, including key phrases for SEO regularly. Expect to pay a decent amount for a good blogger. Good writers do not sell themselves short but expect a good wage for a good job. It will however be one less job that you will have to do! Sarah Charmley is available for blogging, web content writing, copywriting – in fact pretty much any kind of writing you can think of. Contact me today with your writing requirements.